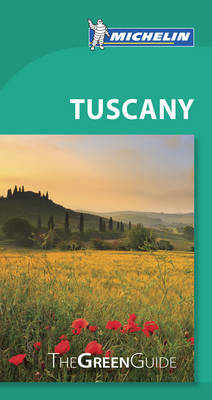 This new edition of Green Guide Tuscany, organized into seven districts for easy travel planning, offers a delightful choice of vistas for discovery: rolling hills of vineyards, sunflowers and olive trees, Alpine peaks and rugged valleys, a coastline of picturesqueports, beach coves, and several islands, and such breath-taking historic cities as Siena and Florence. From Carrara’s marble quarries to the Renaissance town of Montepulciano, Michelin's celebrated star-rating system, respected maps and trusted advice ensure an unforgettable journey. · Updated edition with color photos and plenty of detail travelers look for. · Attractions reviewed and rated, using Michelin's celebrated star-rating system. · 25 detailed driving tours for immersing yourself in the Tuscan countryside, and 20+ delightful walking tours to explore little villages and towns. Michelin walking and driving tours offer a more in-depth, personal experience of the region. · Comprehensive illustrated sections on modern-day Tuscany, its art, architecture, history and culture, all written by experts in their fields. · Sidebars throughout the guide focus on intriguing topics such as the springtime Festival del Grillo, or Cricket Festival, and Florence's Pharmacy of Santa Maria Novella where spices have been sold since the 1500’s.